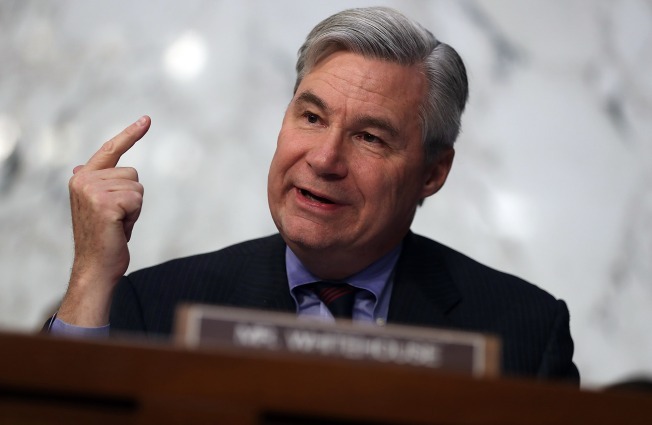 U.S. Sen. Sheldon Whitehouse has released his tax returns for the first time. The Providence Journal reports that the Rhode Island Democrat released tax returns he and his wife filed in 2015. The return shows their total income at nearly $535,000, which exceeded the $174,000 Senate salary and $209,688 his wife received as an environmental consultant. Sources of income include a Virginia-based trust the senator inherited from his father and investments in countries such as Canada and Australia. They paid $121,163 in state and federal taxes, including about $23,000 paid to Rhode Island. Whitehouse pledged to share his 2016 tax returns with the media. His release comes at a time when President Donald Trump faces heavy criticism from Democrats for not disclosing his returns.